Manufacturing Executive, the global community for manufacturing leadership and producer of the Manufacturing Leadership Summit and Awards program, announced the program's top honorees at the 2012 Manufacturing Leadership 100 Awards ceremony, held at The Breakers in Palm Beach, Florida. 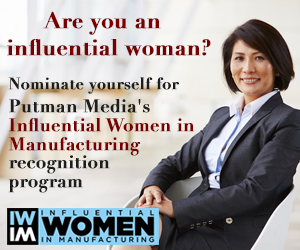 The Manufacturing Leadership (ML100) Awards program recognizes manufacturing companies and individual executives from around the world who have achieved distinction in a competition that spans 11 award categories, including innovation, information leadership, global value chain management, workforce development, and industry leadership. An independent blue-ribbon panel of leading manufacturing researchers, analysts, academics, and executives, including past award winners, evaluated and judged all nominations. Global Value Chain Oracle Corp. Operational Excellence Tessy Plastics Corp.
New Workforce Bridge Publications, Inc. Learn more about the awards and the application process for the 2013 program.